Did you see the news this morning? Facebook Timeline is now being rolled out for Pages. 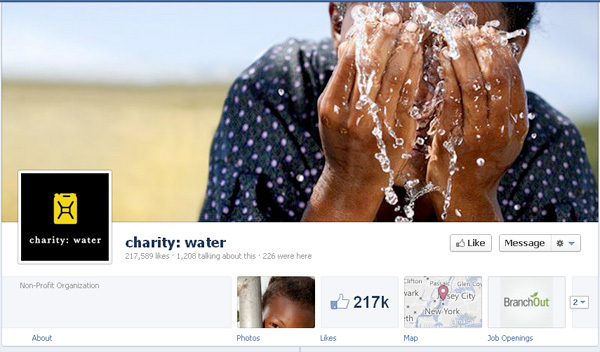 Pages can now include covers – see below for an example of a cover from charity:water. Tabs still exist, but they’re now in the form of the boxes below the cover image. The Admin panel, a new feature, shows you notifications, new likes, and insights. Admins can now submit a request to change the Page name. 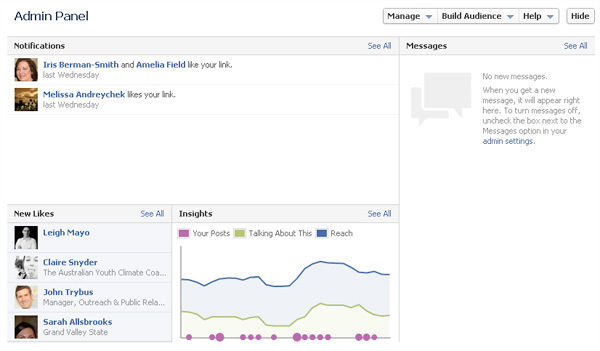 Admins can now review users’ posts before sharing them publicly on the Page wall. Facebook users can now privately message Pages, and these messages appear in the Admin panel. Page app width can now be made wider, and can be changed in app settings. Pages now include the ability to pin posts and publish milestones. There is currently no default landing page for non-fans at this time – we suspect this will change in the coming months. We’ll report back with more information in the days to come. What do you think of the new features? Let us know in the comments!